Bulbophyllum, with approximately 2000 species, is the second largest genus of flowering plants, and the largest genus of orchids. Bulbophyllum species have long been admired for their astonishingly diverse flowers, which are often fantastical or even bizarre. Although they are not as widely cultivated as Dendrobium or Phalaenopsis, they have always held a cult status amongst orchid growers, attracting enthusiasts who specialize in their cultivation. In recent years, their popularity has increased dramatically, and a new industry has emerged, producing hybrid Bulbophyllums for a broader range of non-specialist orchid growers. Bulbophyllum is a pantropical genus, with representatives in Asia, Africa, and the Americas. Approximately 1600 species are found in Asia, where New Guinea is the most important centre, with about 700 species, most of which are endemic. 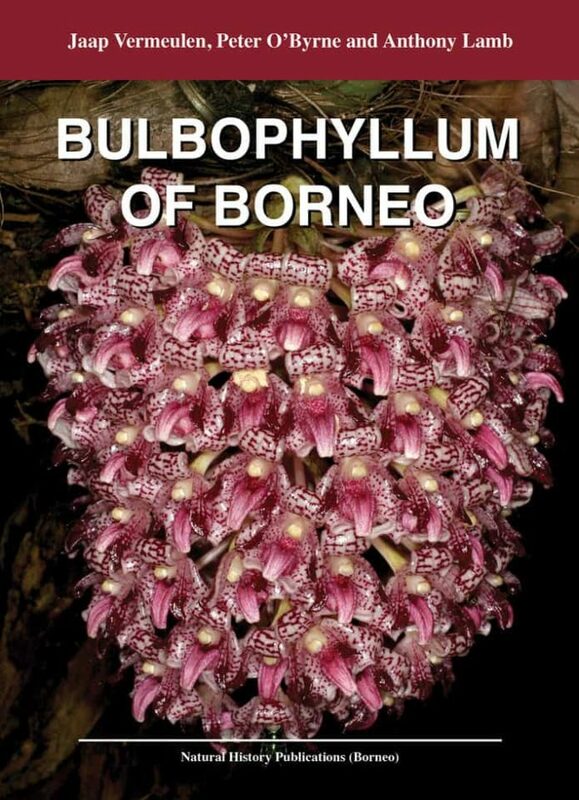 Borneo, the third largest island in the world, forms a significant secondary centre of distribution, with 288 known Bulbophyllum species and subspecies, 152 of which are found nowhere else. Most of Borneo is (or was) covered in lowland rainforest, with few high mountain ranges. Until recently (on a geological time-scale) Borneo was connected to Java, Sumatra, and Peninsular Malaysia. Consequently, the Borneo lowland Bulbophyllum flora has a lot in common with these neighbouring territories. The picture changes as you go uphill; there is less overlap and a greater proportion of endemics, until you reach Mount Kinabalu (4095 m), a botanic hotspot with a very high number of endemic plants, 13 of which are Bulbophyllum species. This account of the Bulbophyllum of Borneo is as complete as the authors could make it. There are descriptions of all 288 known Bulbophyllum species and subspecies, of which 18 species and 3 subspecies are described here for the first time. 284 of these species and subspecies are illustrated by line drawings, photographs, or both. The clear, precise line drawings (most of them occupying a full page) will be invaluable to anyone interested in Bulbophyllum species. The photographs were selected from the work of 29 photographers (many of them well known for their orchid photos) who opened their collections to the authors. However, it is a truism that no book of this nature can ever complete; amongst these photographs were pictures of 5 unknown Borneo Bulbophyllum species that cannot be described due to lack of a specimen. Books of this nature, which bring together between one set of covers 100–150 years of botanists’ work, often stimulate new discoveries because it suddenly becomes possible to look at a specimen and say “this one isn’t in there”. We are confident that this book will trigger a flurry of new Bulbophyllum discoveries. With such a large number of species, subdividing Bulbophyllum into workable sections has long been a contentious issue, based mostly on the opinions of the botanists involved. The application of DNA technology has hopefully put an end to this, but creating DNA-based sections that also allows the use of morphological characters to determine the correct section remains a work in progress. The sections used in this book follow a combined DNA/morphology-based system proposed by the first author, who intends to publish, in the near future, another book that explains the system. Dr Jaap J. Vermeulen (left). A very, very tall, skinny Dutch guy… it is an education watching him fold himself up in order to jackknife his body into a seat on a Kijang (Indonesian minibus, built for size smaller passengers)! Born in 1955, JJV studied geology, then earned his PhD in Plant Taxonomy at the University of Leiden. 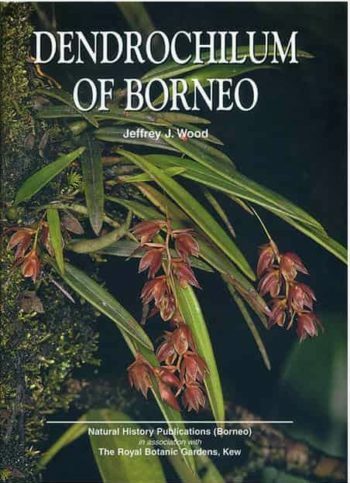 He spent one year collecting in Borneo, which resulted in Orchids of Borneo Vol. 2, Bulbophyllum (1991) and a still-unfinished book on Borneo snails. From 2000–2006 he was the Orchid Taxonomist at the Singapore Botanic Gardens; during this time he collaborated with Peter O’Byrne to produce the material for Bulbophyllum of Sulawesi (2011) and described many new species. Currently resident in Leiden (and intermittently in Copenhagen), JJV spends a lot of time working on Bulbophyllum species and illustrates land snails for fun. He is justifiably well-known for his precise illustrative technique, which has been put to good use throughout this volume. Peter O’Byrne is a self-taught orchidologist and photographer. Now retired from paid work, he lives in Sabah, where he illustrates and describes a seemingly endless stream of new orchid species from the Malesian area, and is revising several difficult groups of orchids. Anthony Lamb (right). After graduating from Cambridge University, England, he arrived in Sabah in 1962 and served in the Department of Agriculture for 39 years, but before retiring, he expanded into horticulture. 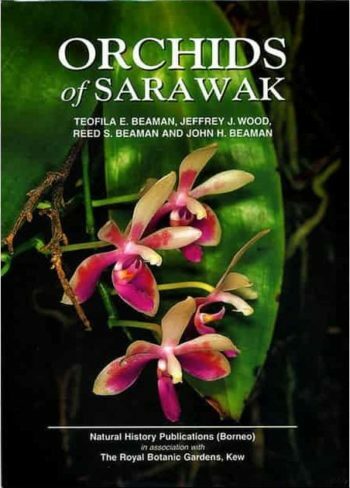 From 1976 he took up the study and photography of native plants as a hobby, starting with orchids, and also teamed up with Dr George Argent, Anthea Phillipps and Sheila Collenette in 1980 to work jointly on a book of the Rhododendrons of Sabah for the Sabah Parks (now revised and expanded), which entailed field trips to most of the mountains in the State. This was followed by a second edition of Pitcher Plants of Borneo and a new edition of The Orchids of Mount Kinabalu. He married Anthea Phillipps in 1987, and continues working on plants based at the Herbaria at Sandakan and Kinabalu Park.